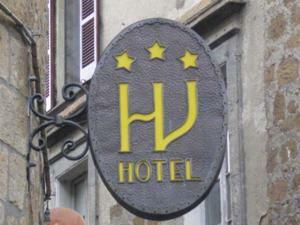 The new property on ThriftyUmbria.com is Hotel Valentino, a three star hotel in the heart of Orvieto. The hotel offers just the right price for a comfortable room in Umbria in one of the most delicious towns of Italy. In the middle of Orvieto’s ancient town center, Hotel Valentino will be your starting point for an unforgettable holiday in Umbria, a mix of the past, fine art and environmental marvels. A classy place within walking distance from the splendid Duomo, which you can even see from the windows of the bedrooms. These are comfortably settled within a restructured Renaissance palace along a captivating and distinctively medieval road. The hotel resides few steps from the Fortezza dell’Albornoz, a city park and romantic venue for twilight strolls. Hotel Valentino in Orvieto offers 19 rooms which fit in with the valuable old palace, ready with all services and designed to ensure you have a fully soothing vacation. This hotel in the center of Orvieto is distinguished thanks to the bright white marble in the foyer, adorned including plants and gracefully painted walls. The hotel provides diverse services, including free of charge Wi-Fi all over the hotel, garage spaces upon demand and a bar. Arrive and learn the ease of visiting Orvieto directly from its splendid center, for a vacation surrounded by artistic marvels you will never forget.